I am Jack Byno, a traffic ticket lawyer that has been representing clients with speeding tickets, CDL violations, lifting traffic warrants, and driver's license suspension hearings in Ellis County, Texas since 1994. Ferris, Texas may be a small town in Ellis County, but it's police officers right a lot of speeding tickets and other traffic violations. 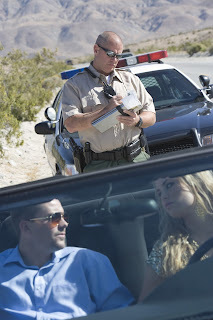 When you get a citation and you need a traffic ticket lawyer contact me. When you hire the lawyers of Jack Byno & Associates to represent you with your speeding citation in the City of Ferris or any where else in Ellis County, we will take the time to inform you of your options. Our attorneys are strong negotiators and will look for the best deal we can make on your speeding tickets. In most cases we can get you deferred adjudication, which if granted by the court and successfully completed will result in the ticket being dismissed. Contact me to discuss your case. When you receive a traffic citation, on the face of the ticket it will state the date you must appear in the Ferris Municipal Court. If you fail to make an appearance by the due date, the court may issue a warrant for your arrest and charge you with the additional violation of Failure to Appear (FTA) or Violation of Promise to Appear (VPTA). So instead of just having the one original charge, you may now have two cases. when you have traffic warrants, I can post bonds, lift the warrants, and appear in court on your behalf to plea the cases to the best deal I can make. If you would like to lift your warrants before the Ellis County statewide warrant roundup catches up with you contact me. More about the Ferris Warrant Roundup . Commercial driver's license holders are not permitted, by law, to take a defensive driving class or partake in deferred adjudication. If you are a truck driver your options are limited. Of course, I can plea your case to the best deal I can, but it may still impact your CDL. In that case I can be retained to fight your Ferris CDL violation in a trial. Contact Jack Byno an experienced Ellis County, Texas CDL defense attorney. Since 1994, I have represented clients with their various driving cases, including speeding citations, CDL violations, lifting traffic warrants, and fighting driver's license suspensions in Ellis County. When you need a traffic ticket lawyer with experience contact Jack Byno.